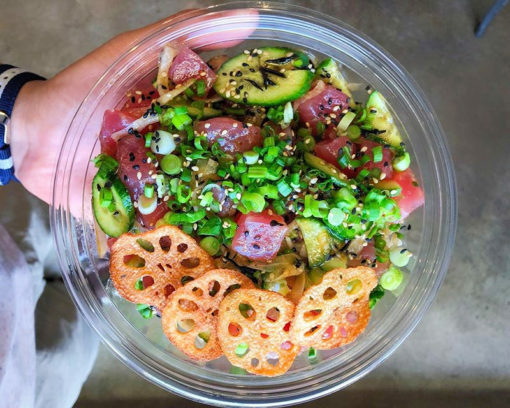 With so many poké franchises that have popped up over the years, there’s really nothing new or innovative about bowls filled with poké, sushi rice, avocado, shrimp, sesame seeds and seaweed. That said, there’s doing it and then there’s doing it right. Pokéworks does it right by putting them together in a way that’s exciting, flavorful, and reasonably priced (harder to find than you think). And it’s the portions are both lighter yet filling. That’s to say, I’m in one of my obsessive phases. (I’m not gluten-free, but Pokéworks’ entire menu is gluten-free for those with that allergy). Unlike many in their category competitors, Pokéworks is actually an affordable option. I’ve been to other poke places and have walked out spending $14-20 without feeling full and unsatisfied by the portions. Not at Pokeworks though. Their “regular” bowl is approximately $10 ($11 after tax), comes with two scoops of protein, and you feel appropriately satiated afterwards. Even so, ten bucks isn’t chump change. 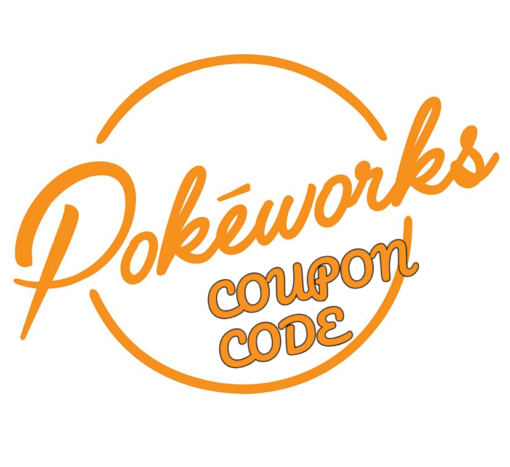 Luckily you can get $5 off your next Pokéworks meal using this coupon code. If you’re a first time user fo their app and you click on the link, you’ll have $3 added into your account to use toward your next purchase. The Pokéworks app is powered by LevelUp. That $5 credit is good at any of their over 30 locations across the nation. Pokéworks’ mobile app means you’re apart of their rewards program. It’s not as straight forward as other apps. With Pokéworks, you earn points and those points allow you to reach certain status levels that give you better benefits as one progresses. Paying with your phone gets you closer to more rewards and levels of additional benefits. In addition to the $5 referral credit you’ll get by downloading the app, you can earn free Pokéworks stuff along the way. For example, for every 125 points you earn at Pokéworks ($1 per point), the company will add $5 into your account. That’s basically getting a 7% discount every time you pay with the app. That’s how I think about it, at least. So download the Pokéworks app using this official invite link, receive $5 towards your first purchase and start earning toward your loyalty reward.